Scottish Highlands Paintings & Prints - Sunset Over The Glenfinnan Monument and Loch Shiel, Highlands, Scotland. Scottish Highlands Paintings & Prints – Sunset Over The Glenfinnan Monument and Loch Shiel, Highlands, Scotland. 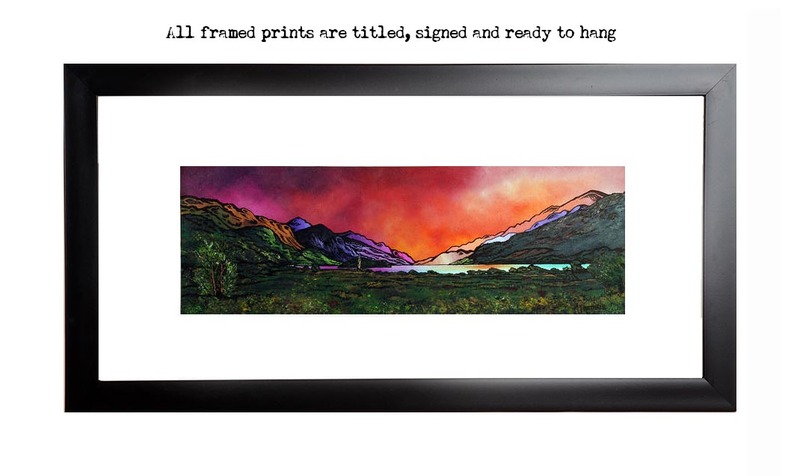 An original painting and prints of The Glenfinnan Monument and Loch Shiel, Highlands, Scotland. An original abstract, atmospheric landscape painting of The Glenfinnan Monument and Loch Shiel, Highlands, Scotland. Scottish painting & prints of The Glenfinnan Monument and Loch Shiel, Highlands, Scotland by Scottish landscape painter Andy Peutherer. Scottish Highlands Paintings & Prints – Stac Pollaidh across the Loch Lurgainn, Scottish Highlands. Scottish Highlands Paintings & Prints – Garbh Bheinn across the Loch Linnhe, Argylle, Scottish Highlands.